At Ipsos, we are proud to call ourselves the home of researchers! Because we are one of the world’s largest market research companies with more than 17,000 employees and can be found in not less than 89 countries. What are our favorite hashtags? #innovation, #entrepreneur and #client-centricity. Our success is the combination of the unlimited worldwide expertise, knowledge and process efficiency in a company that supports people with an entrepreneurial spirit. The European Public Affairs Unit is an independent unit in Ipsos with our core team located in Leuven and Anderlecht (but we also have offices in Gent and Berchem). Our unit is part of a larger Public Affairs network within the Ipsos group that connects researchers from around the globe who are expert in designing and managing social research studies using the full range of quantitative and qualitative approaches. Leveraging on this network, the European Public Affairs hub in Belgium is dedicated to further growing the business of Ipsos in International, European, and Belgian Public Affairs. For our international and local clients - government, academic, non-profit and NGOs - we are looking to expand our team, so we can deliver on our promise to be their essential research partner for high caliber solutions that withstand scrutiny. Are you excited by the idea of helping to improve the life of European citizens and citizens around the globe? Then you might be the researcher we are looking for! You have a passion for Public Affairs and would like to work on multi-country research projects and proposals to expand our business in Europe and internationally? We welcome applications from quantitative specialists! You must enjoy working in fast paced environment and need to be self-motivated with excellent project and client management skills. You know people who share the same passion? Bring them on, we are looking for two of you: one person with a passion for Research and Clients and one person with a focus on Delivery of projects. Or are you more excited by the idea of helping to improve the life of our Belgian citizens? Then you might be the manager we are looking for! You are interested in local policy and politics and gets thrilled when working for Belgian and local public bodies and authorities? Are you ready to take a strong lead in further growing and steering the local Public Affairs business in Belgium? Are you a leader that knows how to get the best out of people? We welcome applications from senior profiles with proven knowledge and research experience in the Public Affairs sector in Belgium. You should have the ability to take up a leading role in business management and development and have good client management skills. This role is situated within the Research and Client team. Depending on your role in the team you will focus more on Research and Clients or you would become an expert in Delivering projects. 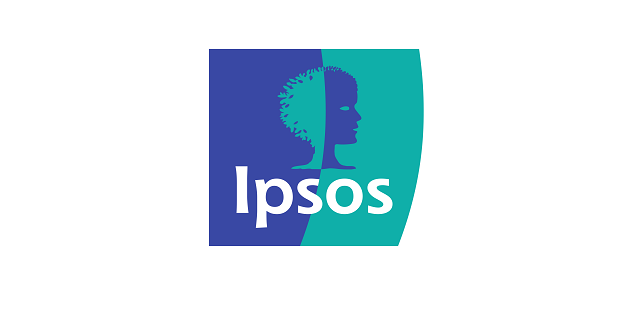 WHAT DRIVES THE PEOPLE WHO WORK AT IPSOS? We are intellectually curious and passionate researchers who set ourselves high standards and aim to work collaboratively to service our clients most effectively. We are committed to equality, treating people fairly, promoting a positive and inclusive working environment and ensuring we have diversity of people and views. We recognise that this is important for our business success - a more diverse workforce will enable us to better reflect and understand the world we research and ultimately deliver better research and insight to our clients. A real team-being spirit: Social, Human and Business related activities with a strong focus on well-being!